Being away from family and friends isn’t easy but they create memories for a lifetime. Cruise videos are a nearly always entertaining. This particular one, the Strike Fighter Squadron 41 (VFA-41) Black Aces WestPac Cruise Video from 2016, is a fine example of the genre. 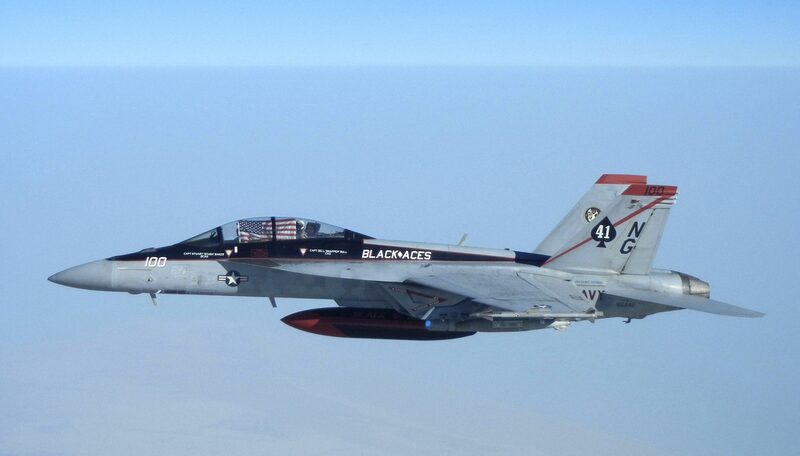 VFA-41 (call sign Fast Eagle) flies the F/A-18F Super Hornet. They transitioned from a VF (fighter) squadron to VFA (strike fighter) squadron when they turned in their previous Grumman F-14D Tomcats and transitioned to the Super Hornet during the latter part of 2001 after returning stateside from deployment in support of Operation Enduring Freedom. The current STRKFITRON 41 (VFA-41) traces its lineage back to September of 1950 when the squadron was established at Naval Air Station (NAS) Oceana in Virginia. However, there were three previous Navy fighter squadrons designated VF-41 before the Black Aces. The high-def video was shot during the Black Aces’ deployment to the Western Pacific as a component of Carrier Air Wing Nine (CVW-9) aboard the aircraft carrier USS John C. Stennis (CVN-74). The deployment commenced during January of 2016. The Stennis and her air wing were there to ensure Freedom of Navigation on the high seas in the South China Sea region. The Stennis made port calls at Guam in the Marianas, Busan in South Korea, Singapore, Manila in the Philippines, and Pearl Harbor during this WestPac deployment. The joyful reunion footage toward the end of the video was shot upon VFA-41’s return to their base at NAS Lemoore in California on August 9th 2016. Next article This Is One of Only Two Flyable B-29s- And They’ll BOTH Be At Oshkosh!